Today marks the centennial anniversary of the death of Martha, the last passenger pigeon that died in its cage on September 1, 1914. Martha was the last of its kind, of its generation, but it fell dead in its Cincinnati cage after its kind had dominated the American skies for generations. This were a wild blue dove that flocked in millions at a time, and blackened the skies as they flapped and created their own winds and weather as they moved past overhead. Many of them were shot and eaten, and a single shot into the sky would bring tens of them down. Even Thomas Jefferson was noted to have eaten them as well, as well as several other people back then. 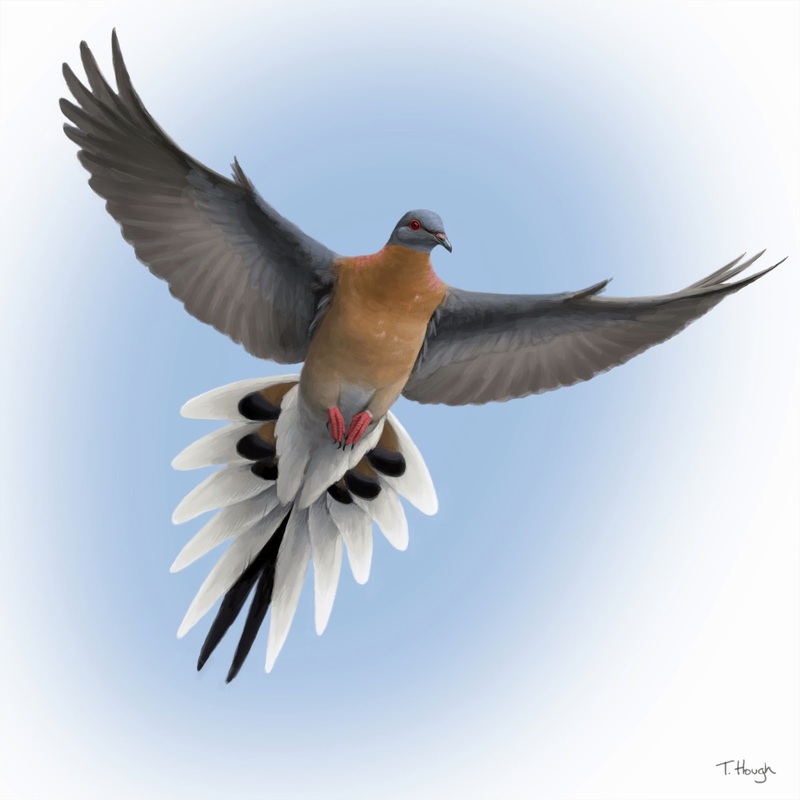 Several authors mentioned the passenger pigeon in their books, and several artists painted them in ways that brought back nostalgic memories of what American once was today. To many, the passenger pigeon represented the American spirit for struggle and self-determination, and to others it was the story of the people that took the land. The passenger pigeon was different from the city pigeon you know today. They had blue wings, and they were sleek, with an hourglass neck and iridescent blue body that was supported by an apple breast and complemented by a white underside. They flew or flocked in billions, and they carried with them a mystery and a phenomenon of their own as they migrated either north or south. Today at the Smithsonian, Martha and two dead pigeons of its kind are exhibited to mark their extinction story. It’s now a centennial celebration for the extinct passenger pigeon, and Martha and two of her colleagues are displayed for all to see, behind a glass wall. Some scientists and researchers are probably trying to resurrect the passenger pigeon today, and they are experimenting with DNA and biotechnology to achieve their aims, but will the birds like to live today with us again? They weren’t hunted to extinction, that’s crap. The forests of eastern U.S. were felled from Canada to the Gulf. Their habitat was entirely destroyed. Several other bird species were lost for the same reason.